1973 Litho print "Death To The Long Knives"
This is a magnificant Litho Print w/Pencil Signature by Joe Ruiz Grandee, famed western artist in 1973. 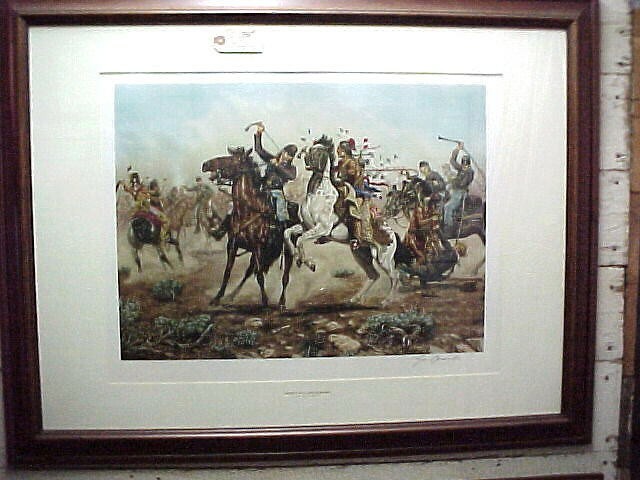 This is a magnificant Litho Print w/Pencil Signature by Joe Ruiz Grandee, famed western artist in 1973. Please email cowboycabin@centurytel.net with questions or call 406 270-2842.